Looking for a new media player? 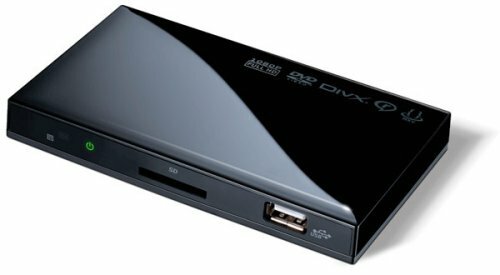 AMEX Digital has unveiled the MP-G7 Media Gate Android TV media player. This device is powered by a dual-core ARM Cortex processor and will deliver full HD video output over HDMI. The AMEX Digital MP-G7 also supports USB devices, like a keyboard and a mouse of course. Some other specs include a 2.5-inch hard drive, an SD memory card slot, Ethernet and Wi-Fi connectivity. The AMEX Digital MP-G7 Android TV media player will cost you about $200. Roku made a grand entrance onto the retail scene on Wednesday, by landing a deal with Best Buy. The stores will carry the Roku XD both in retail and online. This is the first time one of the company’s networked media hubs will be available at stores across the US without a rebranding. To refresh your memory, the XD can play 1080p video, supports 802.11n Wi-Fi and has a remote with the instant replay button. 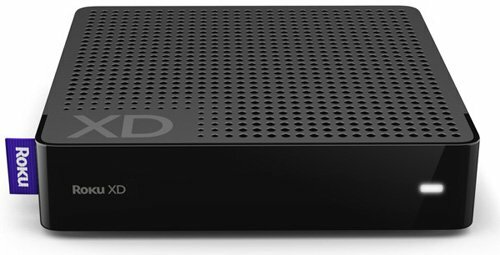 It lacks the dual-band Wi-Fi, component video out and USB of the XDS, but both can do Amazon Video, Hulu Plus, Netflix, and live sports from the MLB and NHL. Cirago recently released their CMC3200 media player and their NUS2000 USB network storage link. The new CMC3200 media player is being called the only 1080p system and it will deliver up to 2TB of storage space, with a Wi-Fi adapter and a year’s worth of PlayOn. The price is $299.99. The NUS2000 Link+ adapter will deliver remote access capabilities to up to four USB-connected storage devices and will cost $100. Do either of these sound good to you? Then bring them home. Amex Digital’s latest is the smallest media player to actually handle 1080p. The device measures just 175- x 128- x 15mm and weighs just 250 grams. The player can accept a range of file formats from a connected USB storage device or an SD card. It will also output 1080p over HDMI, and there’s a composite video / audio output and mini-USB port in the back. The MP-501 is equipped with an ARM Cortex-A8 processor and will play nice with nearly every file. The best news is that it is just $49. Here’s the latest AV product designed for the bathroom. It comes from a company called Twinbird and they’ve got a new waterproof video system for the bath that can be submerged under 1 meter of water for half an hour. Should you want to watch underwater anyway. It’s called the Link Zabady and includes a 7-inch display that features an 800 x 480 pixel resolution. It also comes equipped with an SD card slot that you can play media from and stereo speakers built-in. The battery life offers up to 3.5 hours of non-stop video playback. That’s one long bath. Kaleidescape, the multi-room home movie server has optimized its UI and added Blu-ray support with the M500 and M300 players. 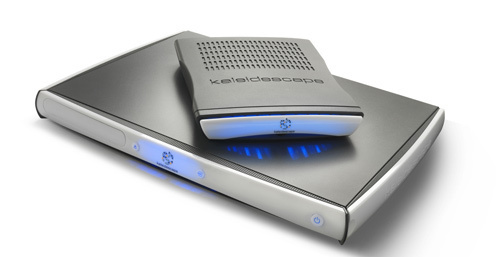 Kaleidescape’s new M500 player works just like the old versions: Just load a disc—CD, DVD, or now Blu-ray and the player copies it onto a home server. Pretty straightforward. But movie studios wrote a provision in the Blu-ray licensing agreement requiring the disc to be physically present whenever a copy of the movie is played. So, if you want to watch a copy of a Blu-ray movie on an M500, or one of the satellite M300 players, the disc must be present in an M500 somewhere on your network. The design looks like someone slapped a display on a trash can, but the Media Pro HD is a full HD networked hard drive media player that hooks up to any HDTV or A/V receiver allowing you to get started almost immediately. It features a hot-swappable hard drive tray and you can hook up to your home network without wires, but it does have an Ethernet option too. 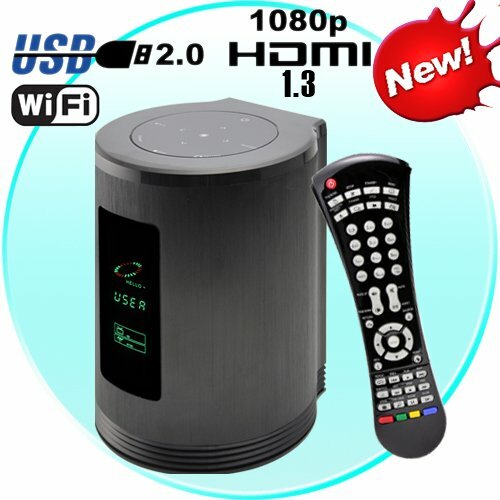 Some other features include a Sigma Designs SMP8635 CPU and Silicon Image SiI9134 HDMI 1.3 transmitter for just $215. ASUS has added a third model to their O!Play mediaplayer range, the ASUS O!Play HD2. Sadly we don’t have any information. Just the name, with no specs. However the photo reveals USB, eSATA and various forms of memory card reader. 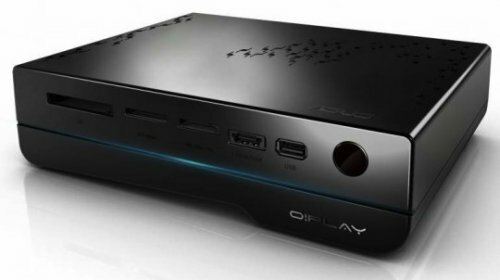 Assuming that the O!Play HD2 is similar to the two models that have gone before it, we would guess 1080p HD video output via HDMI with networking support, either ethernet or 802.11n like the O!Play Air HDP-R3. Hopefully we will have full specs soon. It’s still cold here in Texas, but I know in a few months we will be back up in the 90′s or higher and we will all be wishing the cold weather was back. With the warm weather within sight, many people are probably already dreaming about hitting the beach or lake for some fun. Many people like to take music with them, but most MP3 players are too fragile to stand up to water and drops. 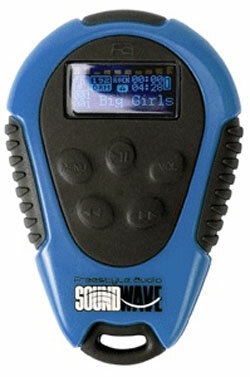 Marinemart has announced that it is taking pre-orders on the Freestyle Audio Waterproof MP3 player. The device can play MP3, WMA, and WMA DRM files. 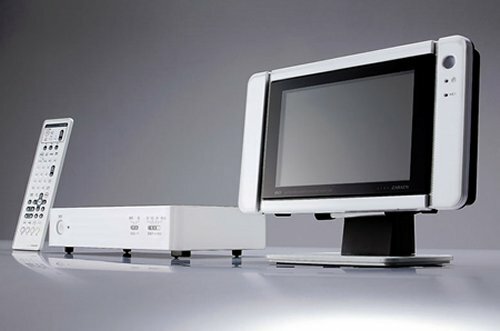 QNAP Systems has released the QNAP NMP-1000 networked media player that originally debuted in March at CeBIT 2009. Now it is making it’s way to the masses. The device supports BitTorrent Server, FTP Server, remote web browser access, and is DLNA compliant. The QNAP NMP-1000 can also function as an external USB or eSATA drive for your PC. The device supports most multimedia file formats including XVID, H.264, H.263, WMV9, VC1, AVI, MPEG/MPG, MKV, FLAC, WAV, WMA, AAC, PCM, AC3, and OGG. Digital Cowboy just rustled up its latest multimedia player called Movie Cowboy. Yee-Haw. This device can double as a NAS, which is convenient. The Movie Cowboy can stream all High Definition and Standard Definition content onto most modern TVs through the magic of an HDMI output. It also includes a USB port, two USB hosts and composite output, so it can reproduce MPEG2 HD(ts,tp,trp), MPEG-1/2, Xvid, DAT, ISO, VOB, IFO, MKV(x.264), H.264, WMV9, ASF, MOV, RMVB, FLV, MP4, MotionJPEG video files, alongside MP3, AAC, OGG, AC3, DTS, MPEG1/2 Layer 1/2/3(MP3), MPEG2-2BC, MPEG-2/4 ACC-LG, WMA9(Pro) and FLAC audio files. Brando loves to release docking stations for your SATA HDDs every couple of months. 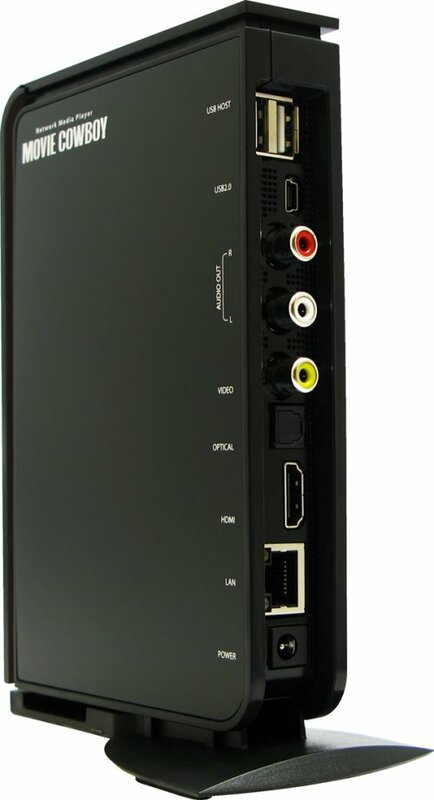 This latest unit adds H.264 decoding to the already present DivX, Xvid and MPEG-4 and outputs to full 1080p. It features HDMI and a bunch of supported media formats. It gives you a lot of options. This new device accepts 2.5-inch and 3.5-inch hard drives as well as USB flash memory, SD, MMC, and MS cards. There’s much to like. Until you get to the price, which is $199. There are nicer looking alternatives available for about half that. The MediaGate MG-M²TV should be a pretty versatile media player. The little box packs quite a punch and is compatible with a whole bunch of video formats including AVI, WMV9, MKV, Xvid, H.264 and RealVideo. The MediaGate MG-M²TV will also playback your music and image file fomats easily and even offers subtitle support for watching a foreign movie. If you want to use your HDTV to it’s full potential, you can output video and audio to your HDTV at 1080p resolution via HDMI or component. 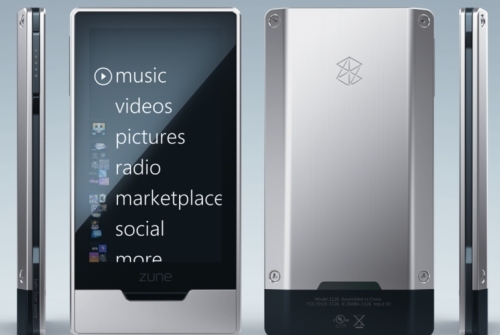 Microsoft made the official announcement late Tuesday that the Zune HD, the next generation of the Zune media player, would indeed be hitting the market in the near future. The Zune HD packs some new features including built-in HD radio, high-def video out, OLED multi-touch screen, WiFi and an included internet browser. I haven’t been into riding bikes since I was like 10. There are lots of people in my area though that are really into riding bikes. I always wonder how safe it is to ride a bike in a city while wearing an MP3 player that blocks your hearing. After all, they wouldn’t be able to hear all the rednecks shouting profanities at them. 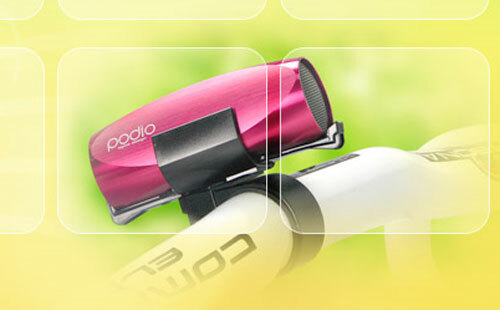 A company from Taiwan has a new MP3 player designed for portability and use without headphones called the Podio. The device is fully integrated into an 88mm long cylinder-shaped micro speaker. The music player portion of the device has 2GB of internal storage.